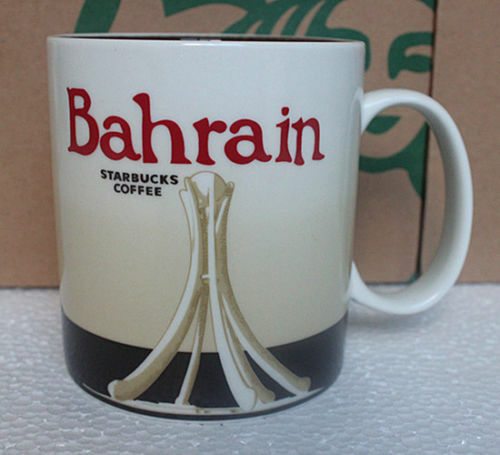 This might is probably the rarest of the two Bahrain mugs. I was stationed in Bahrain back in 2010 -2011. This was during the Arab spring uprisings. 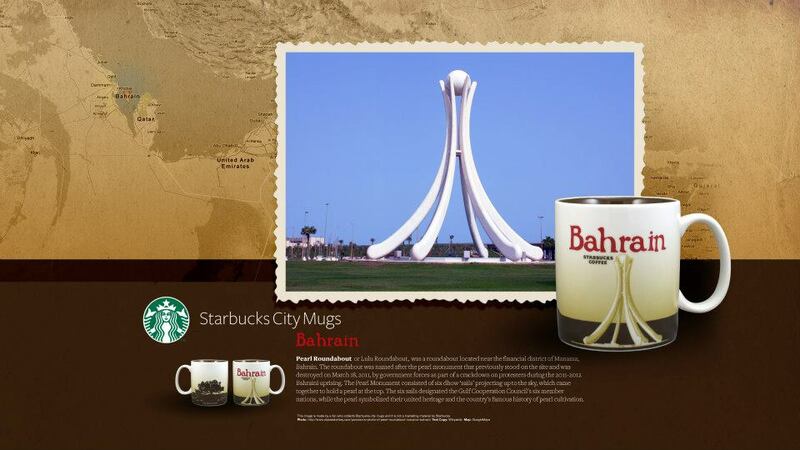 During the protest, the Pearl monument (Pictured in the above mug) located at the Pearl Roundabout at the heart of Manama Bahrains financial district was the center of the demonstrators protests and it was their defining monument. The Bahraini government tore down the monument in March of 2011 to discourage the protests and in hopes of ending the demonstrations. 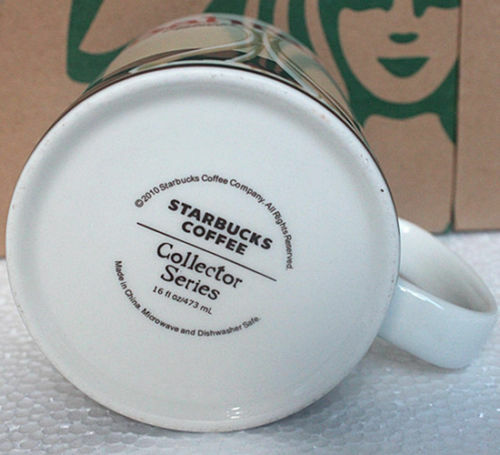 Once the monument was removed the Bahraini government ordered all depictions of the moneument be removed from anything and everything and made it illegal for people to sell items with the monument on them. 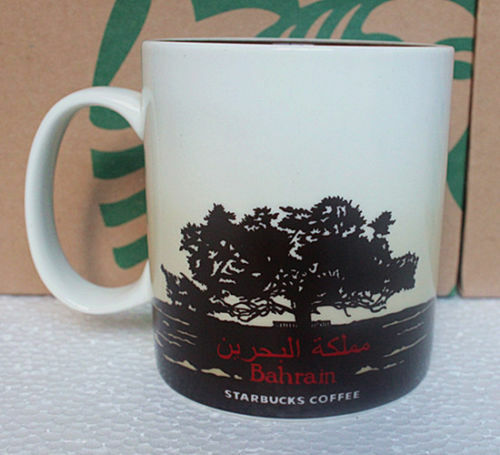 Shortly after the second of the two Bahrain mugs was created and sold at Starbucks within the country.